I thought this one turn out so pretty thanks to the florist. 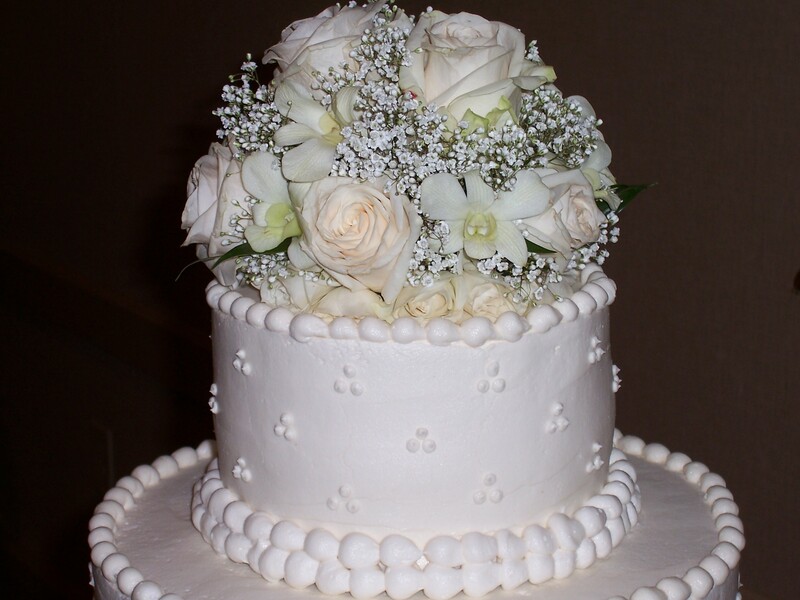 The fresh rose nosegay in such soft colors gave this cake an old-fashion look. 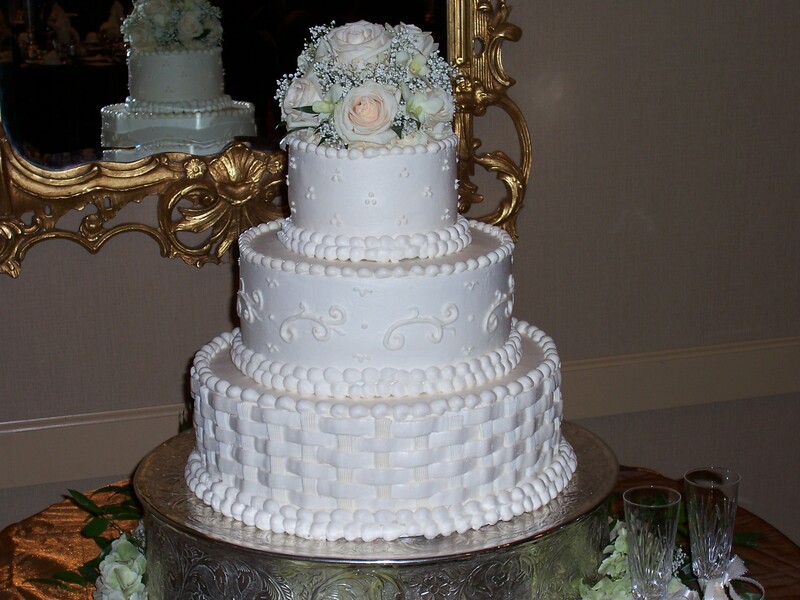 Each tier had a different design, basketweave, scrolls and dots.